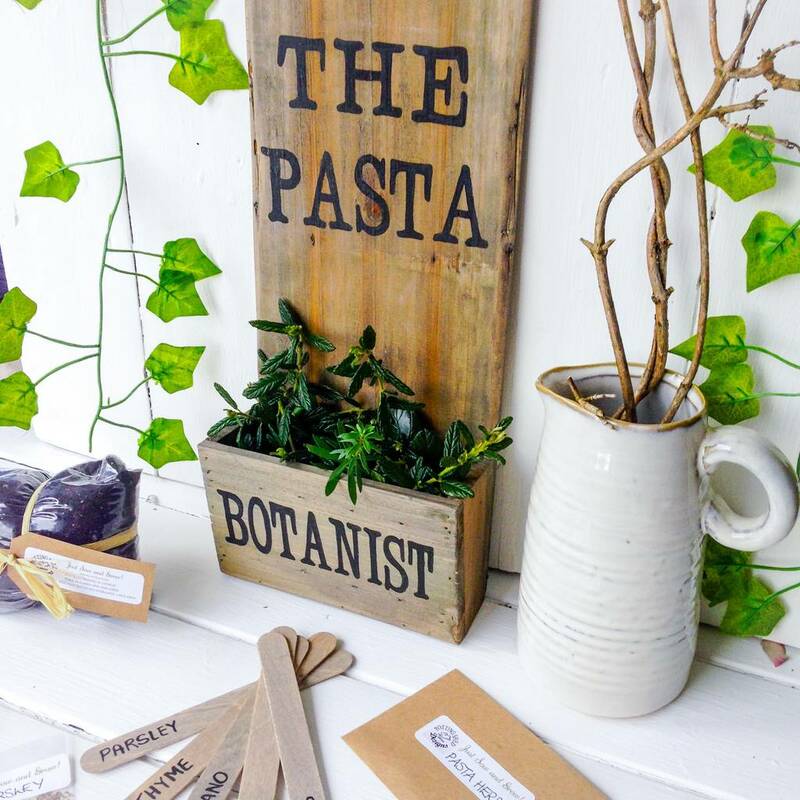 A personalised rustic wall planter complete with a collection of 5 pasta herb seeds, compost and wooden markers. A beautiful accessory for your kitchen. 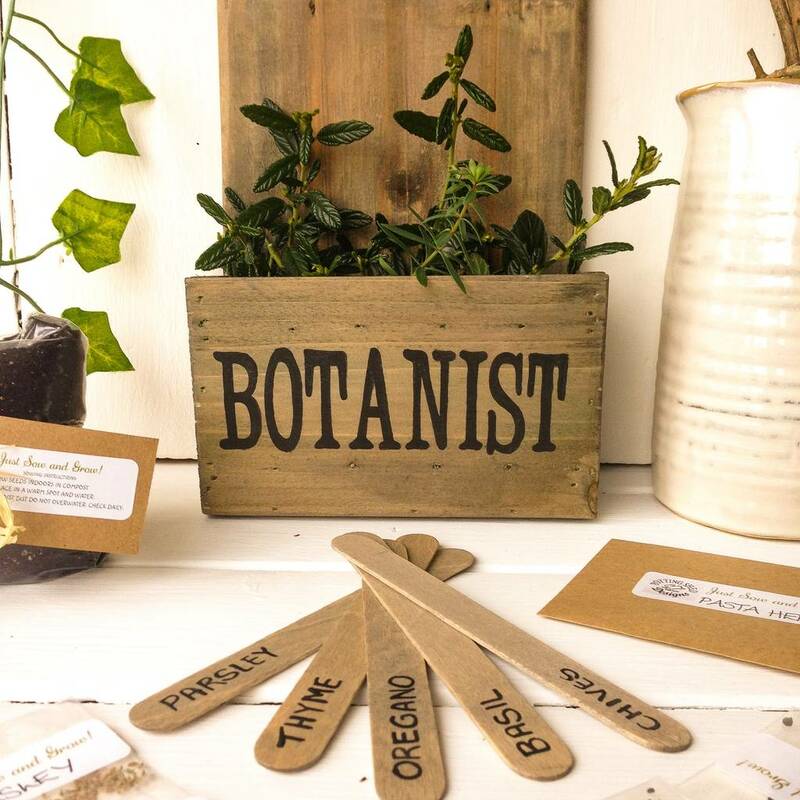 This gorgeous reclaimed wood herb garden planter is perfect for growing herbs in your kitchen. 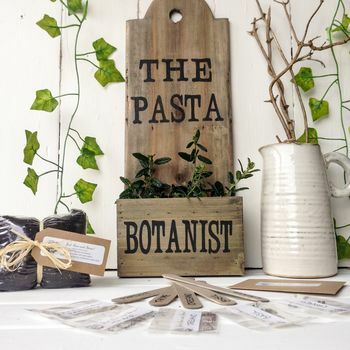 Rustic in style and tactile to touch, these reclaimed wood herb boxes are perfect for growing herbs in your kitchen. You can hang on your wall or use free standing! 5 Herb varieties ;chives, basil, oregano, thyme and parsley. A perfect addition to your home cooked pasta! 5 hand painted wooden markers are included so you can sow one set of herbs at a time or a few herb variations together., always knowing which one is which. Compost included - everything for your grow your own herb kitchen garden. 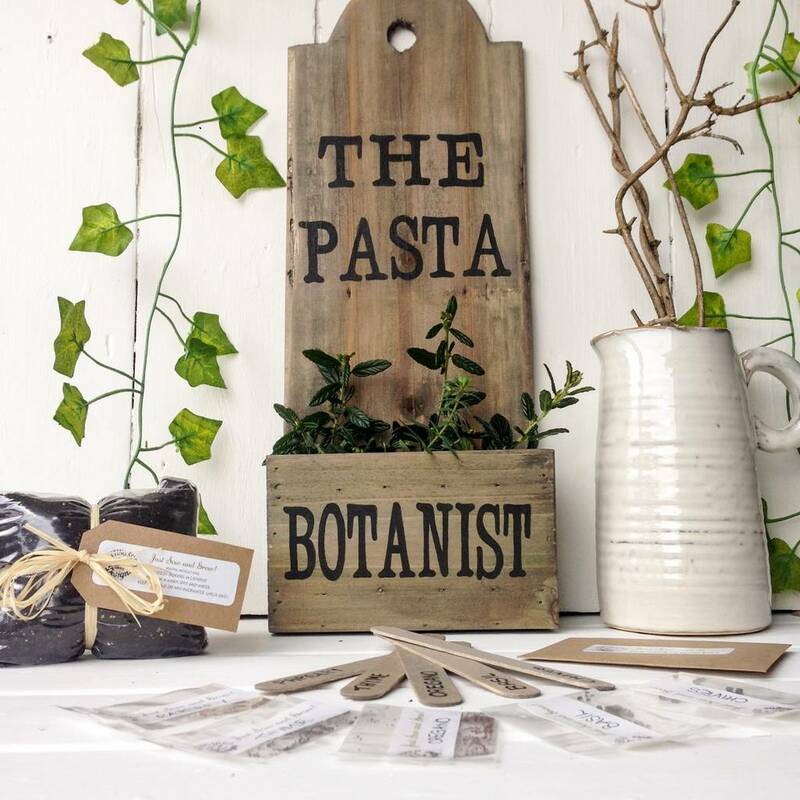 Rustic and decorative, these reclaimed wood Pasta herb wall planters are hand painted to order with black/brown lettering and look very stylish in the kitchen, either freestanding or hung on a wall.